My love affair with sewing machines and all things crafty. 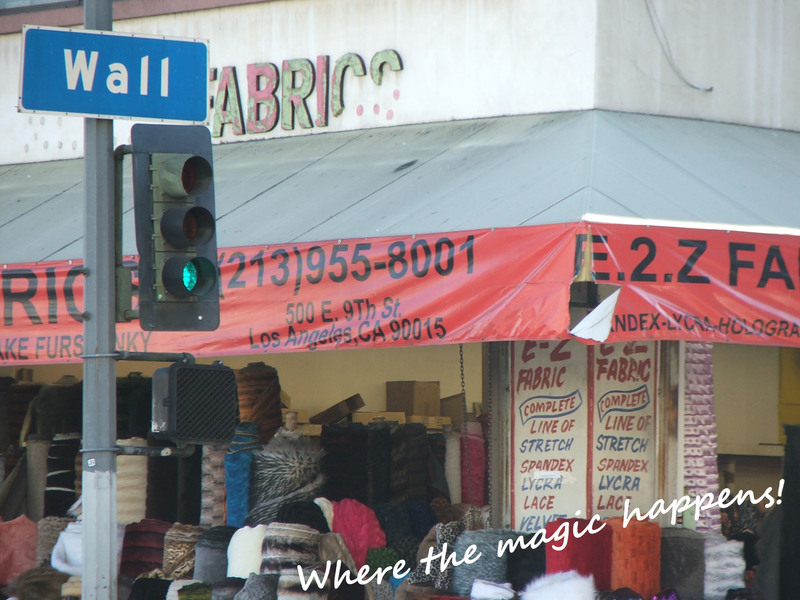 Downtown LA Fashion District: Fabric Shopping! Earlier today I made the trip downtown to pick up some fabric for a quilt I’m planning. My brother is having a baby, (his first!) so I thought it would be a wonderful idea to make a quilt for my new baby niece. 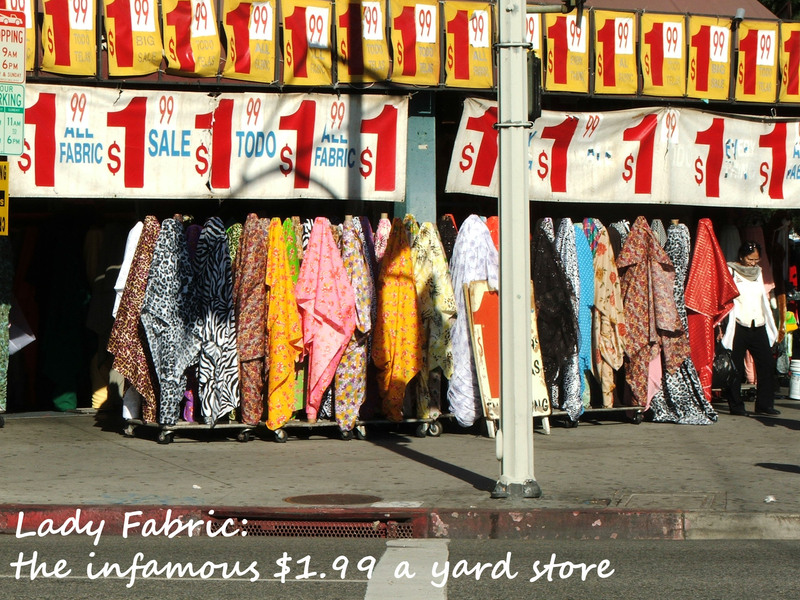 Like many, I like to make things on a cheap budget and the fashion district has many beautiful inexpensive fabrics. I like to begin my search on 9th and Los Angeles, right by the California Mart. This is because the first store I love checking out is Lady Fabric, located on the corner of 9th and Maple. This is the infamous $1.99 a yard store. Mind you, when I lived downtown it was the infamous $1.00 a yard store but, times change of course. 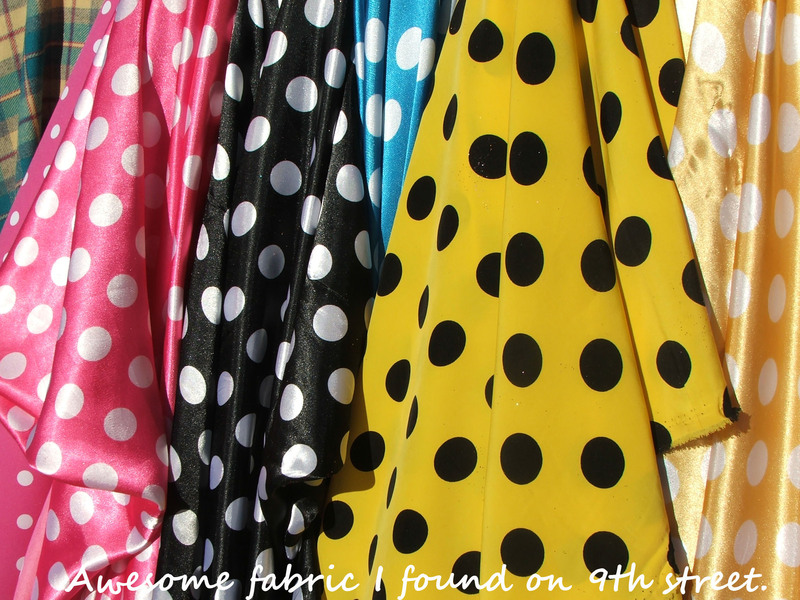 Lady Fabric has a nice selection of satin, cotton, lace, flannel, and polyester… and the price, right in my budget! The next stop on my fabric hunt is usually Michael Levine Inc., also located on Maple. I really like this store because they have everything you could want for a project in one place. They have a huge selection of McCall and Vogue patterns as well, the biggest I’ve seen downtown. For thread I go to L.A. Alex Inc. however. 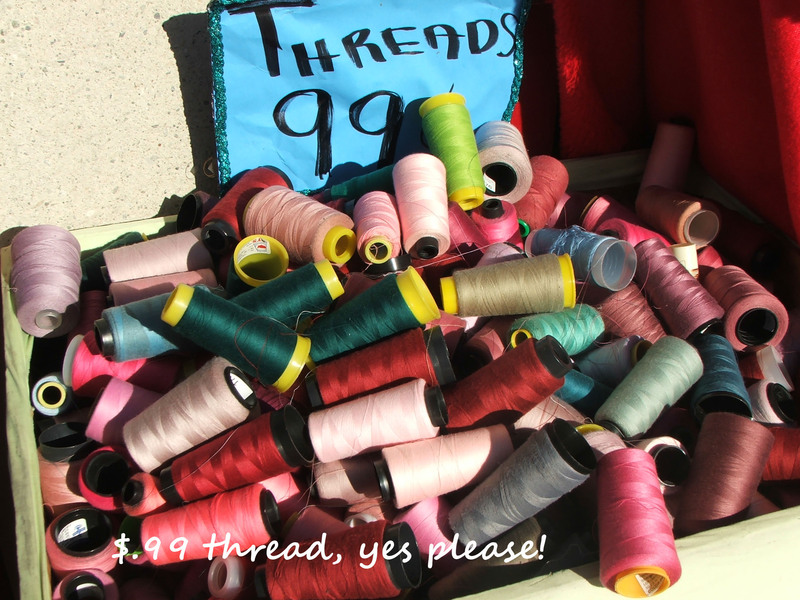 In between Wall and Maple on 9th, they have cheap thread usually for .50 to a $1.00. A great bargain! There is so much to explore in the fashion district alone, that one could spend an entire day there and still not see half of what downtown has to offer. So I’m pretty sure by this point you’re anxious to see the wonderful fabric I bought today. Five yards of fabric only cost me $10.90. I purchased a yard of this gorgeous lemon wedge/ flower print. I loved it so much that I bought two more yards of it, each with a different color scheme. 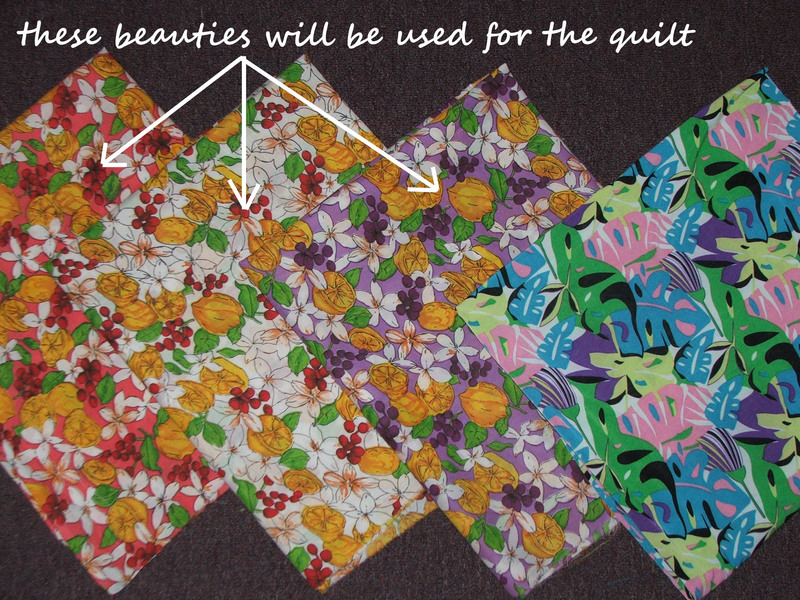 These I will use for the quilt I plan to make for my baby niece. I also couldn’t resist buying this eye popping tropical pattern I found near the front of Lady Fabric. I bought two yards of this and I plan on making a summer dress or tank top… not sure yet. I’ll see where my creativity takes me! WARP CANDY BAGS – That Leopard Babyyy! Sew What's in Your Wardrobe?